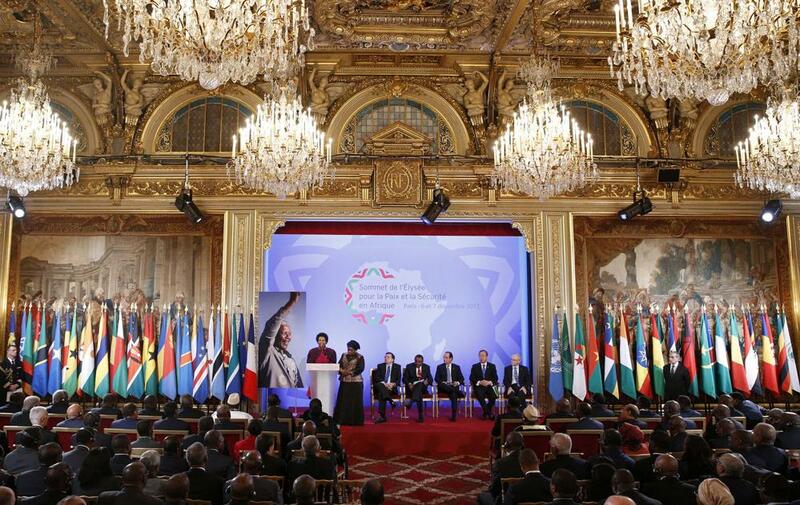 Leaders of Africa are meeting in Paris, amid global outpouring of grief and sadness over the passing of Nelson Mandela. They are looking for solutions – including military, to ending the civil conflict that is now raging in the Central African Republic (CAR). And as always, the international community is being accused of intervening too late – with too little. After its successful military intervention in Mali, alongside African Union Forces, France has been given the go ahead by the UN to take all measures necessary in CAR to protect the lives of civilians, in a conflict that is being fuelled by religious hatred. African Union forces are being stretched to the limit. They are currently in Somalia, the Congo, Southern Sudan and Mali, where soldiers from Kenya, Tanzania, Sierra Leone and others are struggling to prevent rebellious forces from taking control. 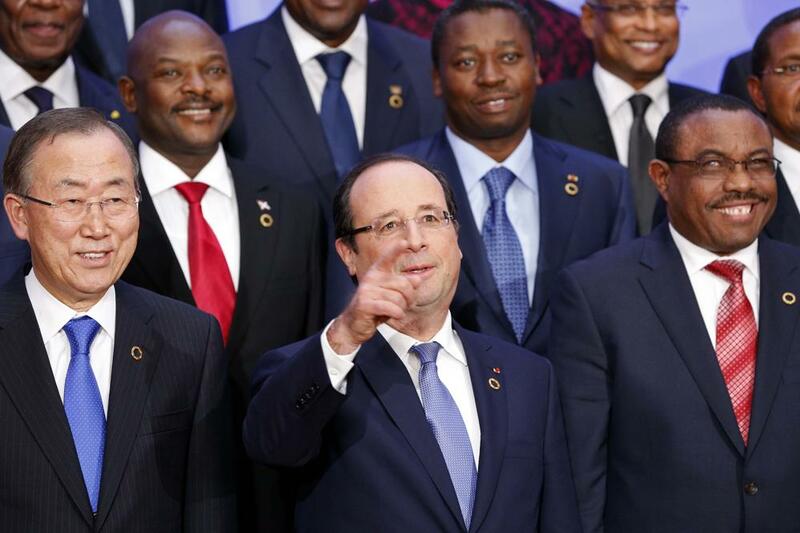 Is the Central African Republic at risk of disintegrating? And what practical actions should the African Union and the UN pursue now? Over nine months, the weak Central African Republic (CAR) state has collapsed, triggering a serious humanitarian crisis, with 400,000 displaced and nearly half the population in need of assistance. The transition government and the regional security force have failed to prevent a descent into chaos in urban areas, in particular Bangui, as well as in the countryside. After months of “wait-and-see” and following deadly clashes, the international community now realises it cannot afford another collapsed state in Africa. Unfortunately, the situation on the ground is deteriorating at a much faster pace than the international mobilisation, and Bangui is vulnerable to a total breakdown in law and order. The UN Security Council should immediately provide a Chapter VII mandate to the new African-led International Support Mission in the CAR (MISCA), supported by French troops, to launch an operation to secure Bangui that should then be extended to other cities. Subsequently, religious reconciliation should be prioritised and stabilisation measures adopted. The risk of the CAR becoming ungovernable that Crisis Group highlighted in June 2013 is now real. The Seleka, a loose coalition of armed groups that took power in a March 2013 coup, has broken up into multiple armed factions, whose thuggery has triggered violent reactions among the population. Further, the conflict has taken on a religious undercurrent between the predominantly Muslim Seleka and Christian self-defence groups. The CAR faces a number of major challenges: in the short term, restoring law and order and providing immediate humanitarian aid; in the medium term, ensuring that the eighteen-month transition agreed to by the Seleka leaders and other political actors is managed in an effective and sustainable manner; and in the long term, rebuilding the state. Successful transition and reconstruction can only be achieved if minimum security conditions are met. Instability has already spilled over the Cameroon border, and the combination of religious tensions and powerless transitional authorities is the perfect recipe for further deadly clashes between local populations and the various Seleka factions, especially in Bangui. The current stabilisation effort (deployment of an African Union peacekeeping mission, made up of troops from a 2008 mission) is not working. Following the UN’s technical assessment mission in October 2013 and France’s recent decision to increase its troops in Bangui, there is a growing consensus that a more robust, better-resourced emergency response is needed. The Security Council should authorise, under a UN Chapter VII (obligatory on all member states) resolution, MISCA, supported by French forces, to take all necessary means to help stabilise the situation. Its immediate and primary focus should be on restoring law and order, protecting civilians, providing humanitarian relief and documenting human rights abuses. Other countries should also provide logistical (including transportation) and intelligence support in coordination with France and the African Union. 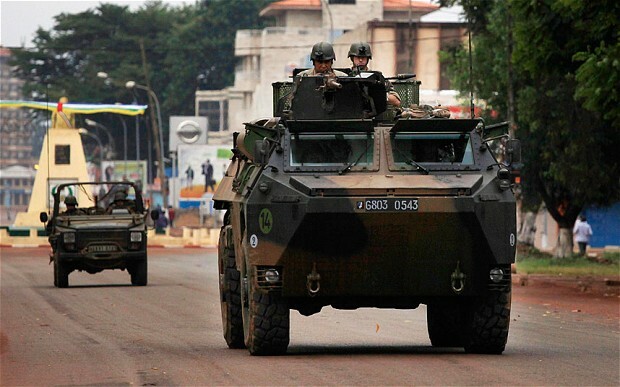 The AU-led forces under MISCA and French forces already on the ground should be reinforced immediately, and together with the very few effective national security forces, should restore law and order in Bangui, including by establishing control of all roads into and out of the city; and helping elements of the national police that have already returned to some police stations previously occupied by Seleka fighters. Once Bangui is secured, the AU-led forces under MISCA and the French should deploy to where fighting between Seleka and self-defence groups is occurring and where tension between Christians and Muslims is high. They should also secure the major routes, such as that connecting Bangui with the Cameroon border. The Security Council, after adopting the Chapter VII resolution, should work to ensure the rapid provision of additional resources – including logistics and the requisite capabilities to conduct night patrols – to ensure MISCA has full operational capacity. The UN and donors should support inter-religious dialogue and implement urgent reconstruction projects, particularly in cities where fighting has occurred and where Christians and Muslims are living separately. 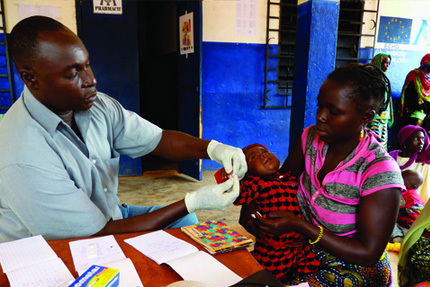 Other priorities are to launch the first phase – gathering and disarming – of the disarmament, demobilisation and reintegration (DDR) program for Seleka combatants; to establish a team to investigate the plundering of natural resources; to support the mixed commission of inquiry set up by the transitional authorities; and to quickly deploy local reconstruction teams. The Security Council should continue to follow the CAR situation closely, and give serious consideration to transition MISCA into an enhanced UN-led multi-dimensional peacekeeping operation when necessary and appropriate. Improving security in the capital and in the worst-affected provinces, returning to normalcy in the main cities and resuming road traffic and trade between Bangui and the provinces could pave the way for a successful transition in the medium term. For this to happen, as Crisis Group’s June report recommended, a number of other steps remain relevant, among them the dispatch of a UN electoral assessment mission, security sector reform and public finance reform. But this is not today’s concern: as CAR stares into an abyss of potentially appalling proportions, the focus must remain squarely on the quickest, most decisive means of restoring security.